Tokabola Sentiment translates to: Let’s share the feeling. Released in 1979, this is one of Josky Kiambukuta’s greatest hits. 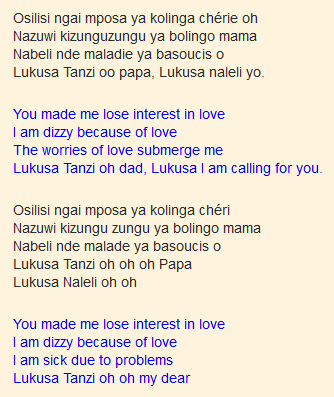 In Zaire (now Congo), it was popularly known as Lukusa Tanzi. While in East Africa especially Kenya, it was popularly known as Kizungu Zungu. 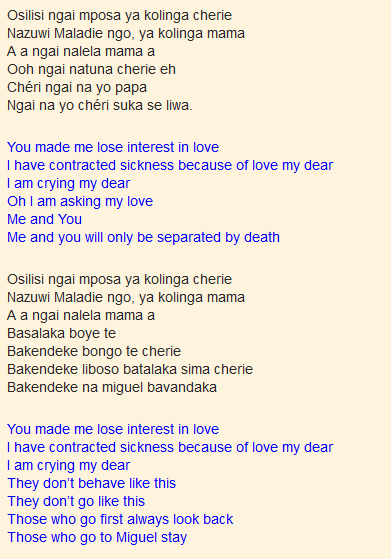 It is one of the songs that made the period between the late 1970s and the early 1980s to be the golden era of Congolese music. It is a song who has been deserted by her husband. She describes how her life has becomes unbearable and pleads with her husband to come home even if he has been with other women. . Allusions made to Shaba province (now Katanga) and Europe where the husband’s other women presumably live. 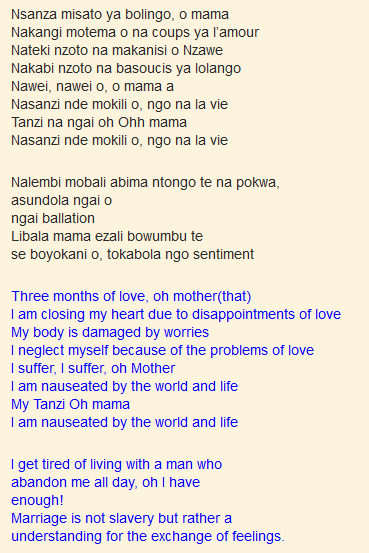 This entry was posted in Franco & TPOK Jazz songs, Songs, TPOK Jazz songs and tagged Franco and TPOK Jazz songs, Josky kiambukuta. Bookmark the permalink. I wanted to thak you for this very good read! !